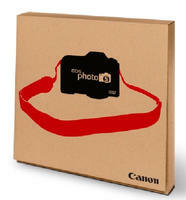 If you missed out on a Canon Photo5 competition box, no need to worry because now you have another chance! We are giving away a strictly limited number of these coveted boxes, each with a unique serial number to qualify you for entry. If you want the chance to grab one of these, simply email your name and mailing address to marketing@digitalcamerawarehouse.com.au and we will notify you by return email if you've scored. Hurry - your entry must be received by MIDNIGHT on Thursday, September 27th 2012 to be in the running. Good luck!